Step back in time , experience it all - History Tours; Eat your way through New Orleans - Culinary Tours; enjoy signature dishes. Ride in Style - Carriage Tours; Choose to Cruise on Riverboat Tours; life on New Orleans' antebellum plantations - Plantation Tours. Neighborhoods of New Orleans; Court of Two Sisters and of course..Music. 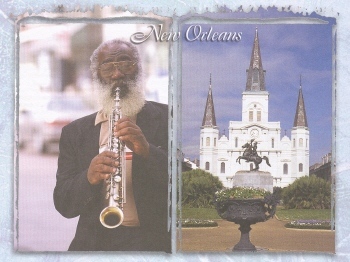 New Orleans: the "Jazz Capital of the World"; Casinos and... so much more! Rates: $999.00 per person based on double occupancy. Single rates upon request.